Lady and the 'Trap' charts the story of Daniel and Jessica, two young, ambitious, musical artists. When their worlds collide, what their struggles are with each other and themselves? It is a story about the troubles of mental health, masculinity, family and friends. A play on stereotypes and the 'Modern Romcom' with an unexpected pair. Lady and the Trap was Wooden Arrow’s third production. 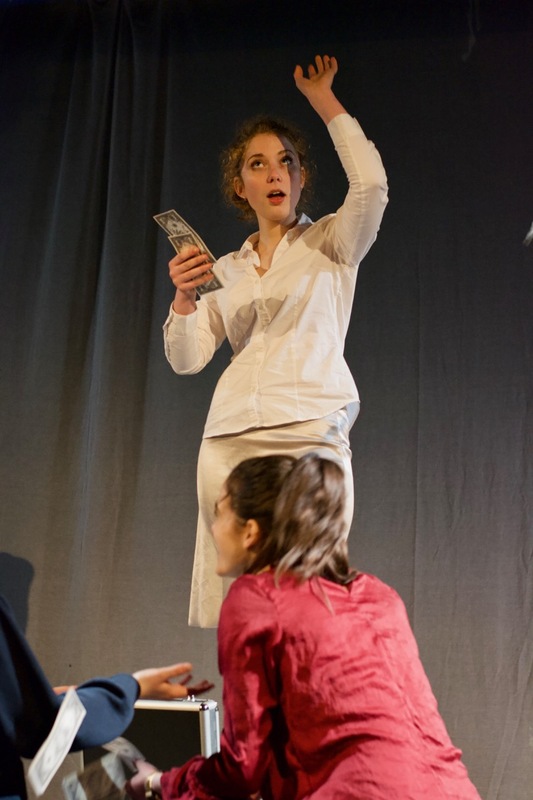 It was staged in October 2018 and had a 3 day run at the Young Actors Theatre Islington's 100-Seat Black-Box Theatre. Davy Quistin, Director of the piece, took the reigns and control in his absence. I attended classes at the YATI and at nine I was put into the agency. I had my debut as Noodles in The Fantastic Fear Of Everything starring Simon Pegg which was in cinemas June 2012 and have since performed as a dancer at Saddlers Wells and done acting jobs here and there. I’m excited that I was given the opportunity to tell and perform this wonderful story. Im feeling a lot of pressure, but overall I am very fortunate to be given the opportunity to play the role of Daniel and be apart of his journey. I hope that Daniel and Jessica story will get told to larger audiences. I’m from SW London and I’m playing Jessica in Lady and The Trap. I’m excited to be working with a strong, versatile and talented cast. We’re all young people who’ve grown up in London and so it’s interesting to tell a story that closely resembles our own experiences. SW London, 18, fresh out of school and luckily managed to get myself into LATT. I’d like to think my journey so far has shaped me into a decent performer, but honestly, having a multi role in this project is pushing me to my limits. Playing every character on the spectrum from posh, awkward boys to sidekicks of aspiring rappers, police constables, producers and subway employees puts a lot of pressure on the actor. I enjoy the challenge because I know that I’m helping to tell a story that’s close to me right now in my life and most guys at some point in theirs. A story of boys trying to be men. 19 years old and recently graduated from the YATI foundation course. 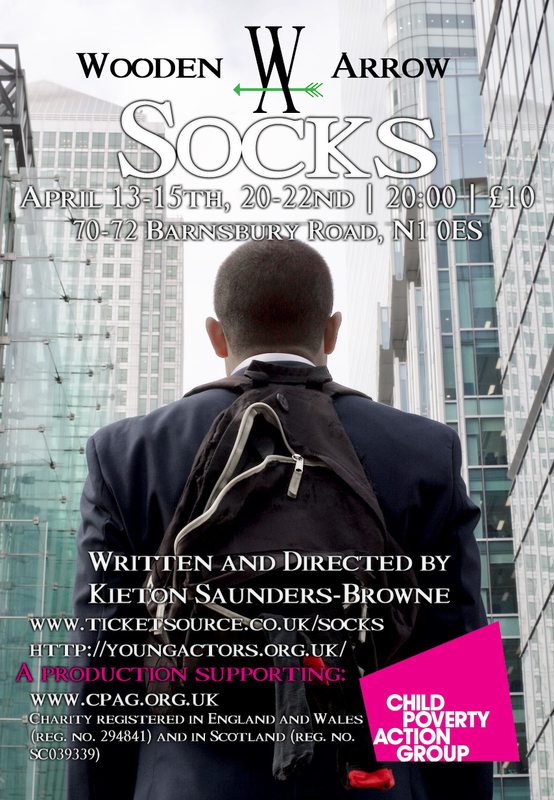 I’ve been involved with Wooden Arrow Productions for several months now as I was a part of the cast in their recent show, ‘Socks’. Lady and the Trap is an honest piece of theatre, showcasing the complicated yet authentic relationship between two people from polar-opposite backgrounds. I’m really enjoying the process of building this production, specifically because of the challenges I’m faced with. The idea of playing so many roles in one play is one of the main reasons I wanted to be a part of this production, as well as being able to showcase the important messages within the play such as mental stresses, feeling lost in your career and fighting for people you love. Differentiating these characters clearly for the audience has not only been a real task for me, but very enjoyable and amusing. Years after the present day and the world has changed. A lot. The story follows Philly and his struggles to survive inside and out of the ‘Wharfs’. Along the way he meets many people as he, and the audience, go on a journey of learning the many perspectives of those with and without what makes the world go round. Money. Socks was Wooden Arrow's second production. It was staged in April 2018 and had a 6 day run at the Young Actors Theatre Islington's 100-Seat Black-Box Theatre. This production was supporting the CPAG (Child Poverty Action Group). We helped to raise money and awareness for their cause. Please visit their site to find out more, and check out our spot on the Fundraising Heroes page! When I started writing Socks I had a very strong image in my mind of what I wanted to get across, but the image slowly morphed as it went along. 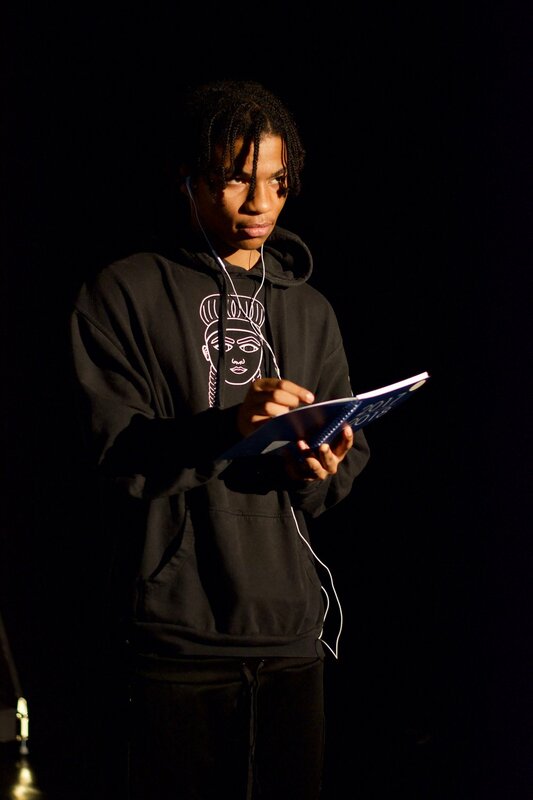 I felt that I was trying to grasp at too much with one play for what my writing at the time could capture and this was an interesting development for the play and myself as a writer. I believe that Socks makes the attempt to capture that same original image I had, however, talks it in a way that would appeal to a wider range of people than I originally set out to grip. I am proud to be working with such a strong cast and enjoy learning as I go along. I have many people to thank for being able to create such ‘homemade’ work, but it is my biggest goal to get other young creatives into work that they can sink their teeth into. I hope that the work reflected on stage on the night gets the message across of what I feel is the biggest problem or presence in my life, if not the world. Set in modern day London, Tumble is a new drug that has descended upon the streets, sweeping up three teens in it's wake. We follow each of the three teens, discovering how they came to taking the drug Tumble. What things they will have to confront in the high? Or 'Who'? Friendships will be tested. Truths will be told. Tumble will be experienced. 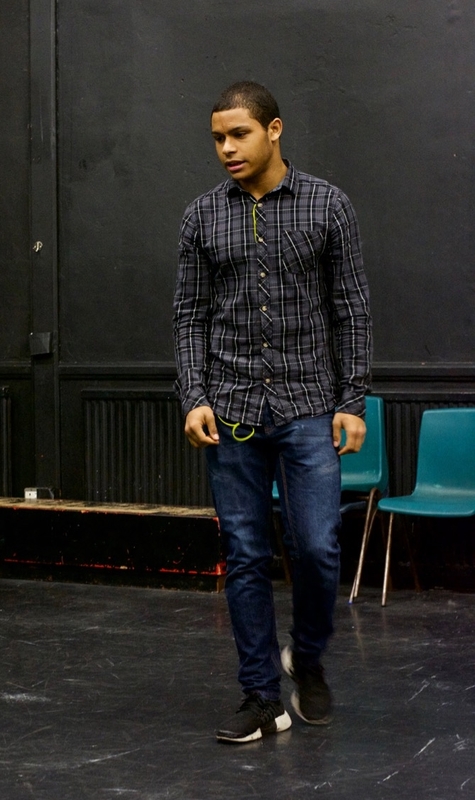 The play was staged while majority of the creatives involved were taking part in their Year Foundation Course in Acting. Producing and staging the project alongside their studies. I spoke to Luke about Tumble in the new year and knew it was my next show. Something about the idea was very fresh and unique and I believed that Wooden Arrow was the company to produce and show Tumble. This is my first show where I have taken the role of director and nothing else. It has been an interesting experience learning as I go and filling in the cracks of the play. An amazing way to start out as an emerging artist. With directing this play, I hope to give fellow actors an opportunity to perform at their best with no limitations. Also, I'd like to use this play as another stepping stone in order to gain a larger platform to create much higher quality productions. I first read tumble in its early stages, and was instantly captivated by its abstract creativity combined with its contemporary relevance and relatability . I was therefore excited when asked to perform in it and can only hope that the performance illustrates the truth of Luke's writing. Sara's character is vulnerable and sensitive, on the cusp of adulthood, and conveys the risk of letting go and naively giving over to new experiences. The director, Kieton chose me to initially take on the role of Sara's father, which I was glad to accept, eventually then also gaining another role within the play. I have worked with many of the people in this cast before and am very confident that we will all be able to put on a magnificent show for all that come to watch. When I first read the script, I initially had trouble expressing Tumble's words in my own fashion, as the way the character speaks is quite different to my own. Despite this, I was delighted to accept the part and make it my own, as I had many questions about Tumble that I wanted to get the chance to explore, and I now feel I have come to understand the character through the work I have done in preparing for the role. I am extremely proud of the commitment I have made to this project, and I have never been so challenged as a performer by any other character. I very much look forward to sharing this piece of amazing writing with everyone. It is definitely not to be missed. I started acting when I was ten at young actors theatre Islington. I've done extra work in films such as Pirates of the Caribbean and John Carter. I've been in multiple plays at YATI and have worked with the director Kieton multiple times, and find him to be a very enjoyable person to work with, causing me to accept the offer to play Leon in Tumble. 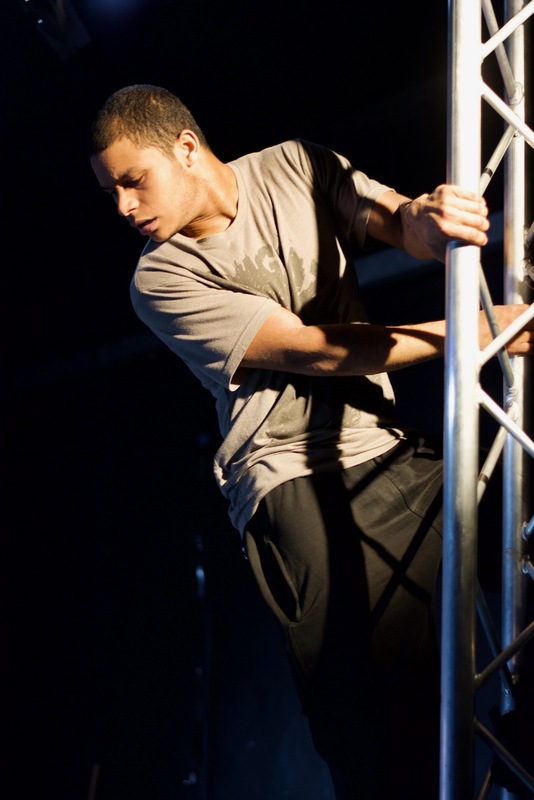 I think the play has lots of potential and I look forward to bringing it to life on stage. Tumble was an idea two years in the making for me. I created the concept of a drug trip with a psychical representation of the drug present, then I took the three teens in the high and wrote their relationships around that and the things they will find about each other through the trip. Focusing on issues I feel aren't always shown in theatre and film. Tumble is a character that is a mood ring of excited and childish emotion with an overload of knowledge of all those in his wonderland. Making him a child with a gun. I initially joined the tumble cast as an understudy and was thrilled when asked to take on the part of Mayla permanently. 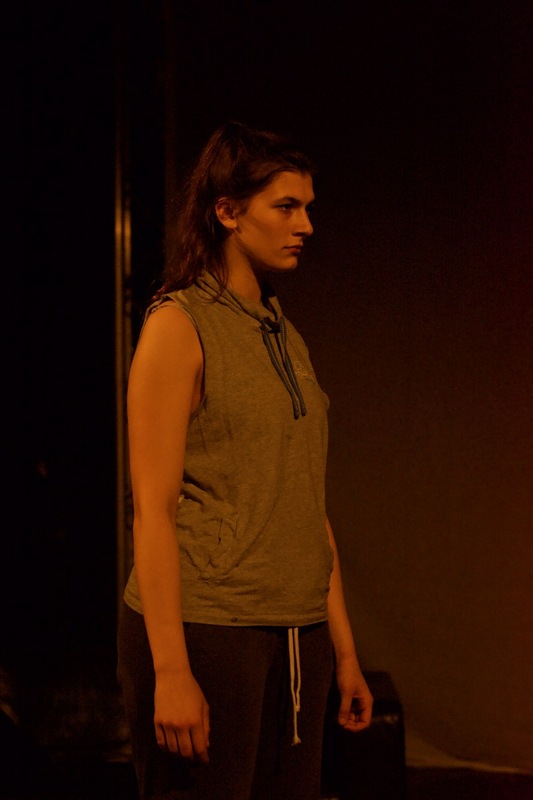 I have been doing the acting foundation course at Young Actors Theatre since September and was excited to find out that this project would give me the opportunity to work with my peers, as well as many other talented members of the YAT community. Mayla has been both a joy and a challenge to play. She is creative and fierce, yet crippled with anxiety and turns to perscription drugs as her coping mechanism to get through life. Finding a balance between all these different parts of Mayla's character has been difficult for me, but I hope to portray her in a way that's fair and truthful to Luke's writing in our performance. I've been fortunate enough to work with Kieton in the role of a director in the past. While Mark is a minor character in relation to the script, he is an integral part of protagonist Leon's journey, and it has been great to bring him to life. I am also working behind the scenes in a production capacity, and it has been great to see all the separate elements of the story come together and bring the play to life.